*Photos taken by Ami Vitale, Sarara Camp. & R.E.S.C.U.E. 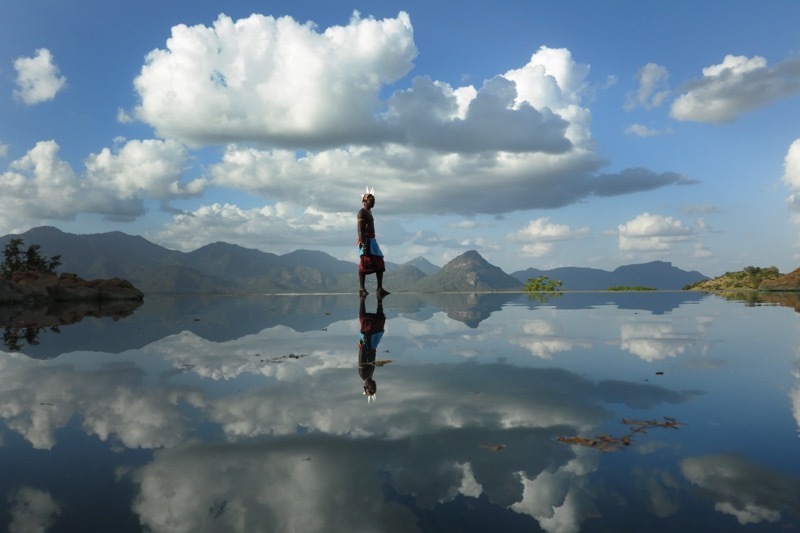 WE ARE invites you to join a journey of a lifetime to the vast mountain range in northern Kenya. 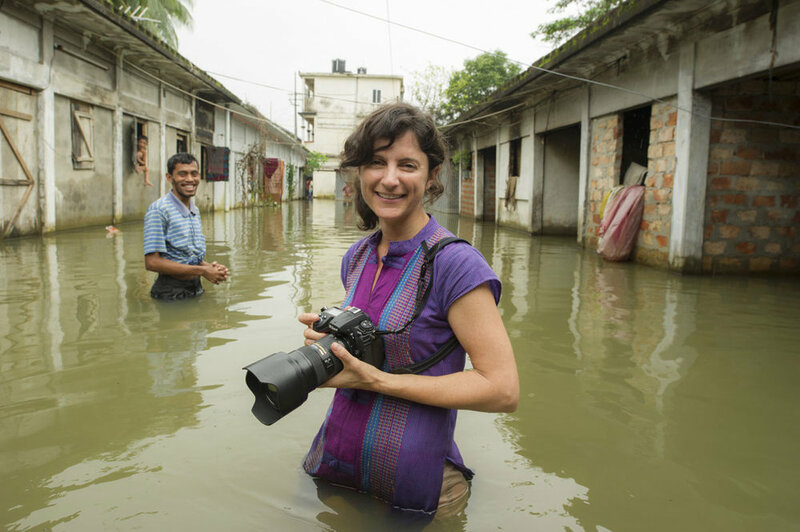 We are so excited to announce a unique photography workshop led by our Ambassador, National Geographic photographer, Ami Vitale. Allow your eyes to meet with those of the indigenous elephants you will care for. Let your spirit rise as your feet move freely and wide grins surround you while learning the native African dance. Throw yourself into the life of the Samburu indigenous people as your hands graze over the colorful beads creating your new masterpiece in a beading workshop led by Samburu women. Find your inner animal as you visit the home of East Africa’s largest rhino population. Join us as we explore the people, the land, and the captivating animals bound to change not only your passports but your hearts for years to come. Immerse yourself in the culture and traditions of the local Samburu people. We will join the indigenous community in a special ceremony dancing around a fire in celebration of the last night of our African Adventure. We will learn the African dance in a workshop and witness the dance in action. A more detailed itinerary will be sent to confirmed guests closer to date. She has traveled to more than 90 countries, bearing witness not only to violence and conflict, but also to surreal beauty and to the enduring power of the human spirit. Recently, she has turned her lens to compelling wildlife stories, such as returning critically endangered captive born species, like the giant pandas back to the wild and attempts to save the last living northern white rhinos from extinction. Based in Montana, Vitale is a contract photographer with National Geographic magazine and frequently gives workshops throughout the Americas, Europe and Asia. Born and raised in Florence, Italy Giulia has been on her personal pursuit of what creates and maintains happiness. Giulia's kind heart and creative spirit shine through her work and are showcased in the giving back projects WE ARE does abroad. When she is not trying to find the key to happiness Giulia is a certified Hatha Yoga instructor and a lover of any adventure; from snowboarding on the slopes to dancing on water while surfing you will find her with a big smile and open heart. 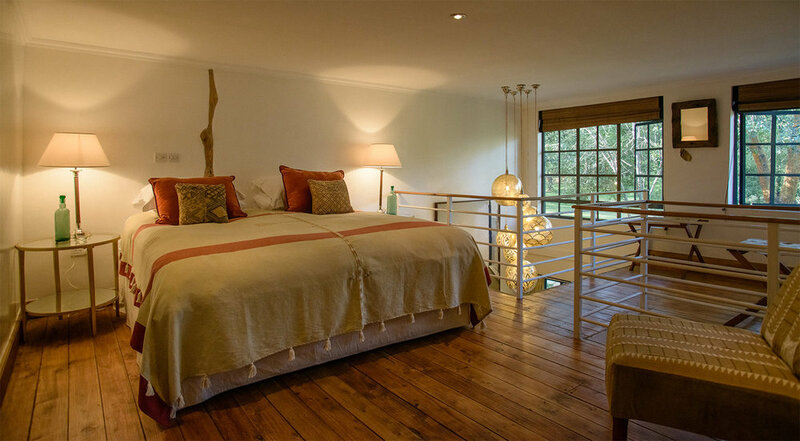 Located in the peaceful suburb of Langata, bordering the Giraffe Sanctuary, this beautiful little gem with just 8 rooms will provide the business or safari traveller with an ideal location to rest and relax in tranquil surroundings. 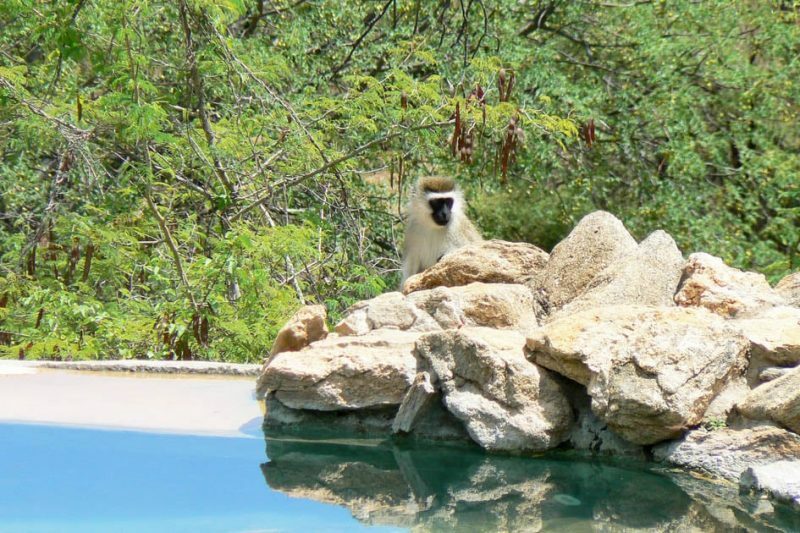 The location itself is completely unique with warthog, parrots, peacocks and monkeys freely coming and going through the garden. Often lions and hyenas can be heard from the proximity of the incredible Nairobi National Park - the only major city in the world to share spaces with wildlife. 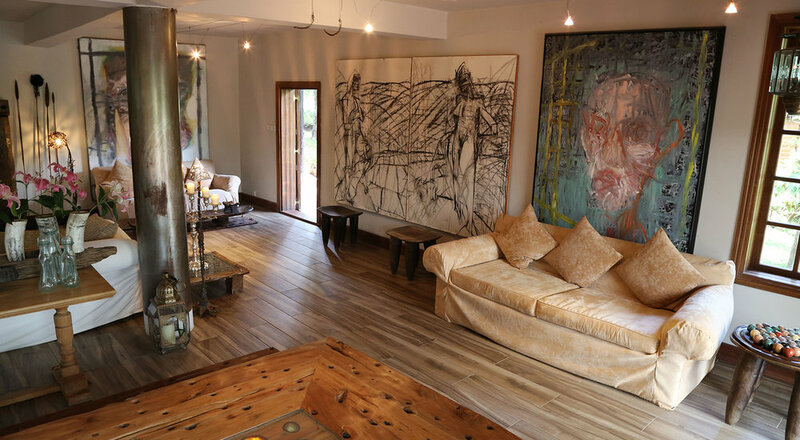 An incredible private home forms the foundation of the hotel, original artwork is featured throughout - making this hotel a living gallery. The 5 brand new suites are converted from the on site artist's studio, the hotel itself spares no modern convenience. 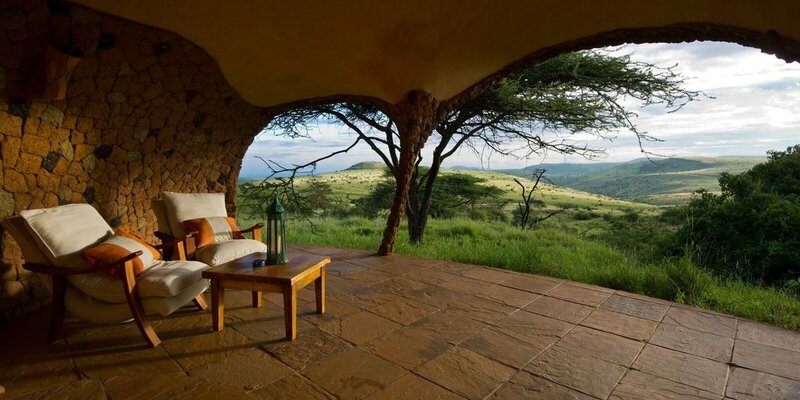 Lewa is a UNESCO World Heritage Site, and has some of the best game viewing in the whole of East Africa. It’s home to 350 bird species and 70 mammal species so you’ll have a great chance to see all of the ‘big five’ — lions, leopards, elephants, buffalo and rhinos — as well as specialized northern species. 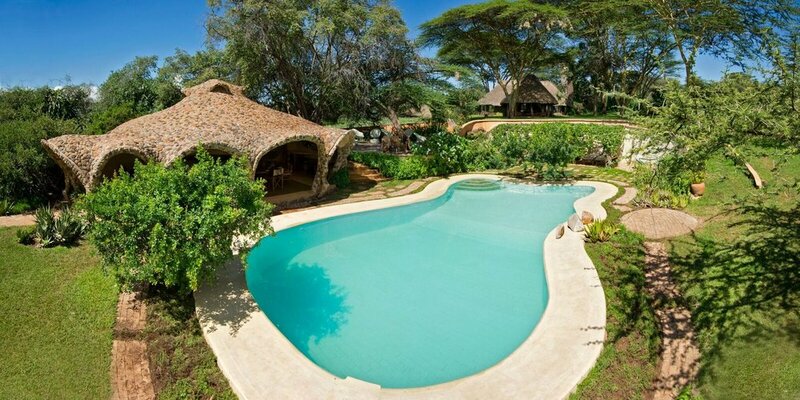 The dramatic, thatched main house is the focal common area, with the accommodation being separate cottages around the grounds, each with unique views of Kenya’s Northern Frontier. SARARA is situated in the foothills of the Mathews Mountain Range. 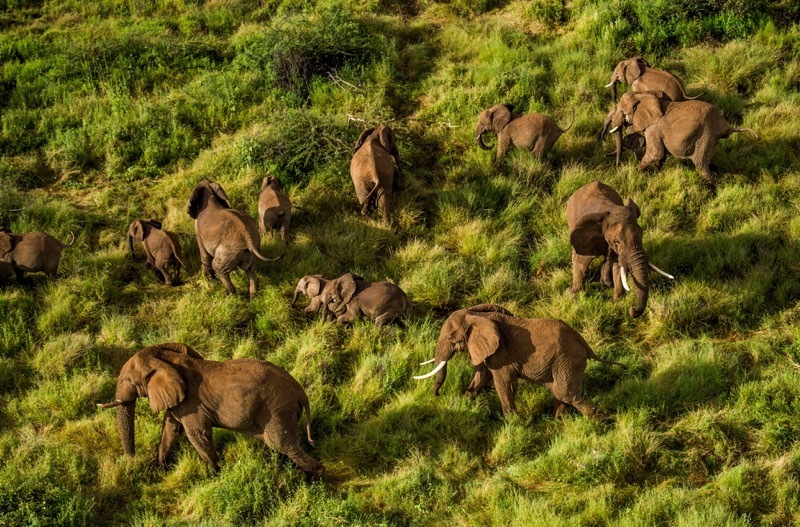 In the northern frontier of Kenya lies the Namunyak Wildlife Conservancy, an area of 850,000 acres of pristine wilderness in the Mathews Range. The savannah plains and lush mountain slopes are home to elephants, leopards, giraffes, wild dogs, and kudu. 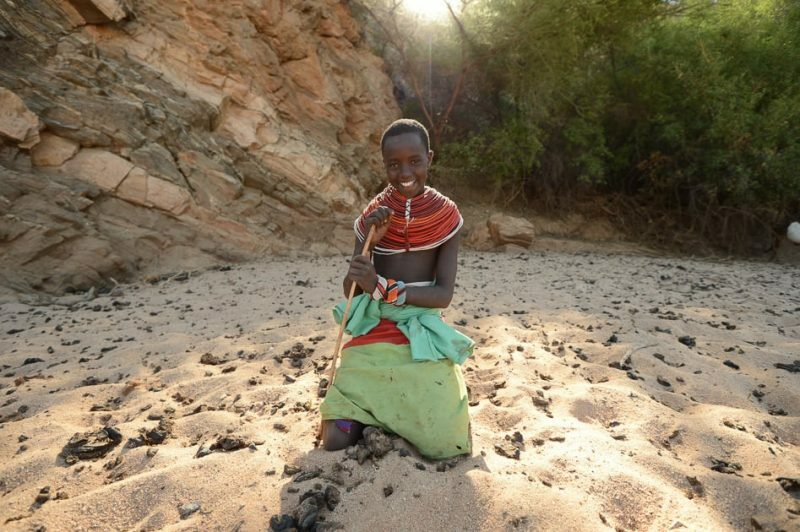 The remote and dramatic landscape is also home to the local Samburu people whose age-old traditions, including the famed 'singing wells' are as much a part of the fabric of this land as the wildlife. 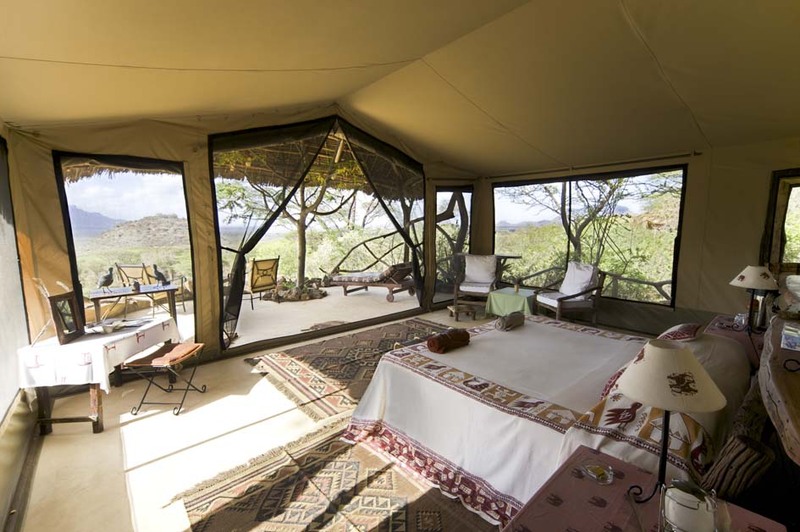 Sarara has six luxury tents, each positioned to maximize the stunning views of the Mathews mountain range and the animal watering hole. 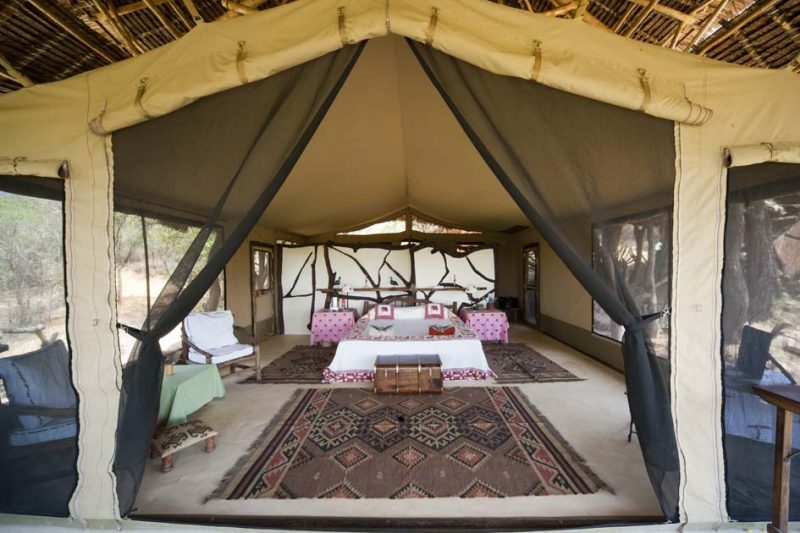 Preserving the romance of the tented camp, these tents are spacious and high ceilinged, with plenty of cupboard space, electric lighting, and 24 hour hot and cold running water. There is an outdoor bathroom offering a superb view of the hills from the shower. However, there is also an indoor toilet and sink in the back of the tent for midnight visits. Each tent has its own private terrace with table and chairs and morning coffee and tea are brought to you so that you can wake up gazing out over the mountains. All of our meals will be prepared daily by a private chef. The ingredients are always, fresh, locally-sourced, and often homemade. There is a farm located on the properties where we can see and smell the very ingredients that will be used in our delectable meals. 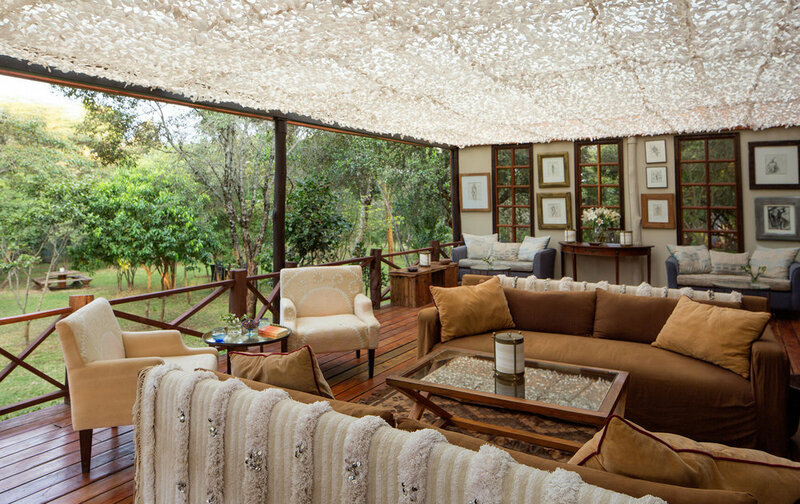 Start your day with tea, coffee, or juice accompanied by fantastic views of East Africa. If you have dietary restrictions please notify us ahead of time. Flights should be booked to Nairobi Kenya, (NBO). We can help facilitate an airport transfer from NBO to OneFortyEight. One of the foundational principles of WE ARE’s mission is the desire to give back to the destinations visited; redefining how we answer call to travel. We will be volunteering our time and funds at R.E.S.C.U,E: Reteti Elephant Sanctuary. Community United for Elephants. 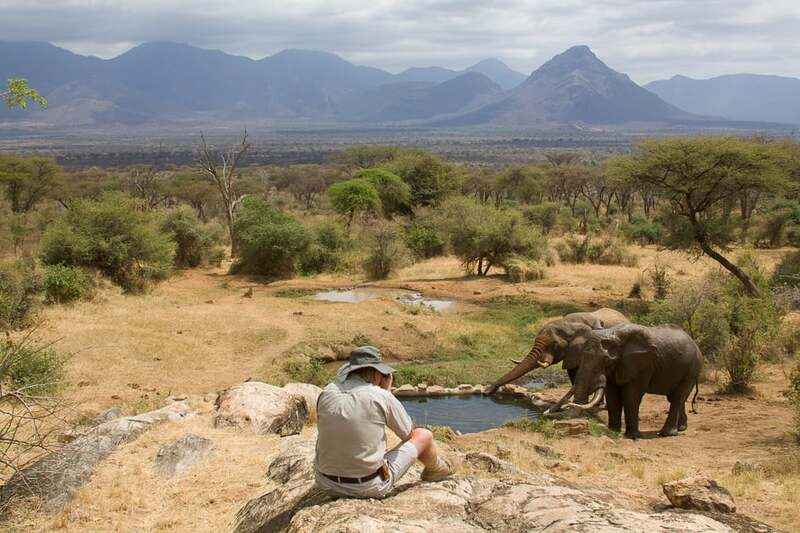 The Reteti Elephant Sanctuary is situated in the remote Mathews Range, among Kenya’s second largest elephant population. It takes in orphaned and abandoned elephant calves with an aim to release them back into the wild herds adjoining the Sanctuary. 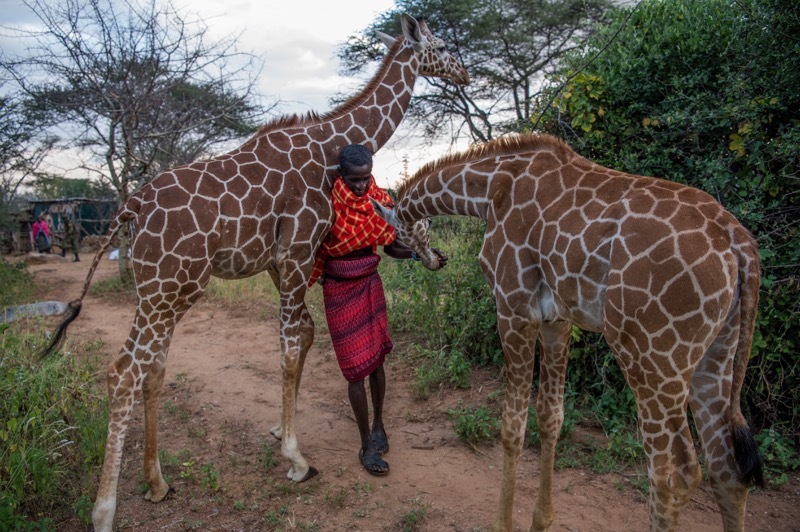 This is the result of a widely recognized and expanding grassroots movement of community-driven conservation across northern Kenya; a movement that is growing new economies, transforming lives and conserving natural resources. 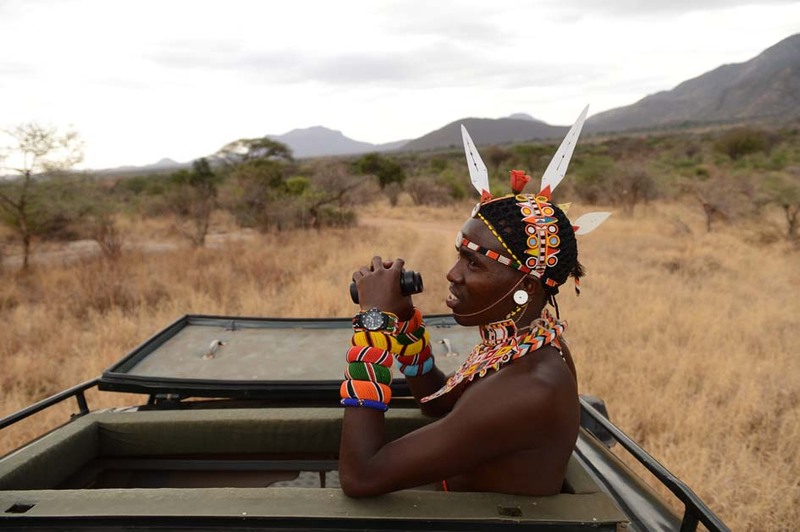 The Sanctuary effects the local wildlife and supports the Samburu people in many ways. It is the representation of the communities standing up united for wildlife, in recognition of the value that they can cultivate. Opportunities are being created, livelihoods are improving and wildlife is returning, proving that nature can provide a sustainable economy for the populations that occupy its magnificent ecosystem. 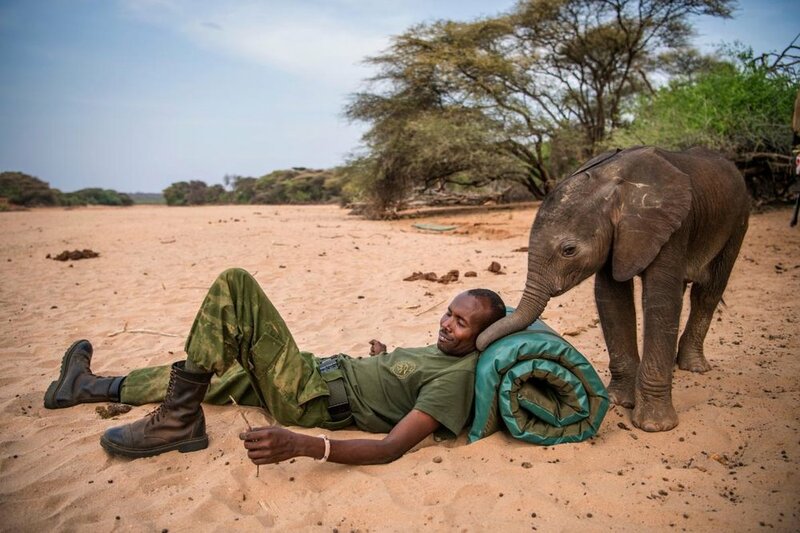 Reteti is also empowering young Samburu women to be the first-ever women elephant keepers in all of Africa. At first, the community didn’t think there was a place for women in the workplace. Now, the success of these women elephant keepers is unlocking new possibilities, setting a powerful example for young girls hoping to pursue their dreams. It’s also changing how the community relates to elephants. Schoolchildren who have never seen an elephant before or who were afraid of elephants visit Reteti and experience these elephants up close, and they realize they can grow up to be a veterinarian or an elephant keeper. IMPORTANT : Please read our FAQ and Terms of Service BEFORE BOOKING!